Luciano Spalletti has challenged his players to prove they are "crazy about Inter" by winning the Milan derby at San Siro on Sunday. Inter are four points ahead of AC Milan and have not lost any of their previous four Serie A meetings with their city rivals, though last October's 3-2 victory remains their only win in that time. Spalletti, who took charge in 2017, acknowledged that a derby game is like no other and had no intention of playing it down, calling on his players to show just how much playing for the club means to them. "The derby is a match that means a lot more because of what it can create in the minds of the players and the fans," Spalletti told a media conference. "This week we've focused exclusively on the derby. "This match is the best gauge of just how crazy we are about Inter." 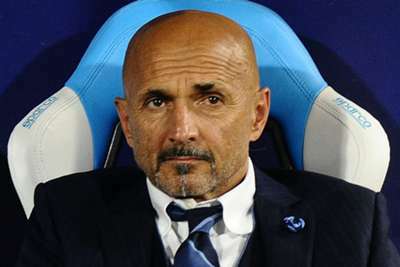 Spalletti noted the contest has extra significance for Inter fans and might even mean more to them than landmark dates in their personal lives. "We want to play this derby in an open style," he added. "There will be a lot of Inter fans at the stadium and an extra stand of fans who are watching from home. "The Inter fans might forget the date of their spouse's birthday, but they won't forget the result in the derby. If you want to make Inter history, you need to win these games."